Latest jobOpenings 2017 , Admit Cards & Exam Results. 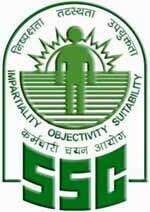 Staff Selection Commission (SSC) is going to recruit fresher candidates in India for Steno-Typist, Junior Scale Stenographer & Senior Scale Stenographer Posts. So, those candidates who are willing to work with this organization they may apply for this post before the last date i.e 31-March-2017. Candidate must be 10+2 1st Division /Graduation or its equivalent from a recognized board/university and English shorthand at a speed of 80 words per minute and transcription at a speed of 15 words per minute and mistakes should not exceed 8%. Candidates age limit should to be possess minimum age 17 years & maximum age 42 years. 1: Selection will be held on Knowledge Test. 31th March. 2017 is the last date for online process. Online mode is the only mode through which the candidate can apply for this government job . There is no other way to apply for SSC recruitment 2017. Below we also share the direct official link to apply. We advise all interested candidates to click on that link for online application form.